This package of 10 5 oz square white salad bowls will help turn your party event into an elegant affair! This disposable 5 oz bowl will help bring trend and style to the table at a price that is better than just affordable. 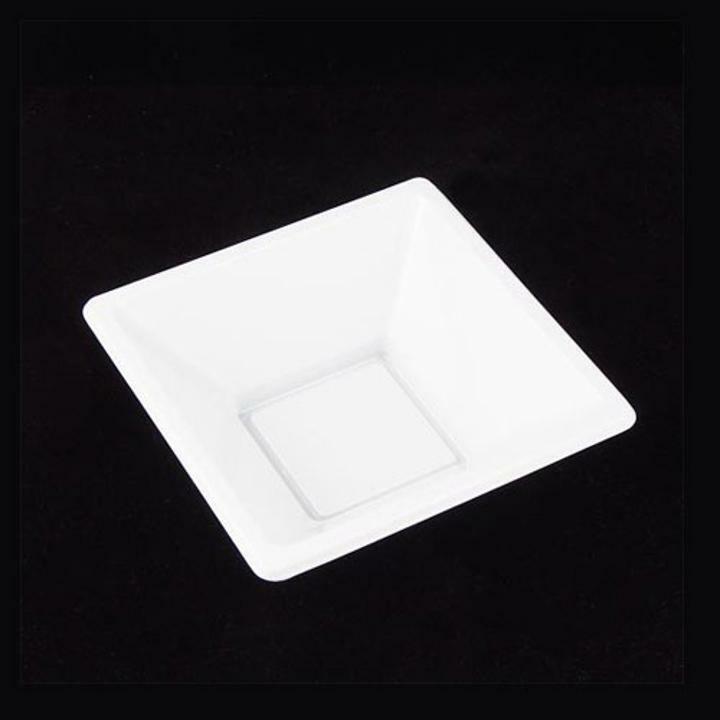 Use this square salad bowl with matching plates and solid color or printed elegant napkins for a look that will make your guests scream WoW! L: 6.0 in. W: 6.0 in. H: 2.0 in.